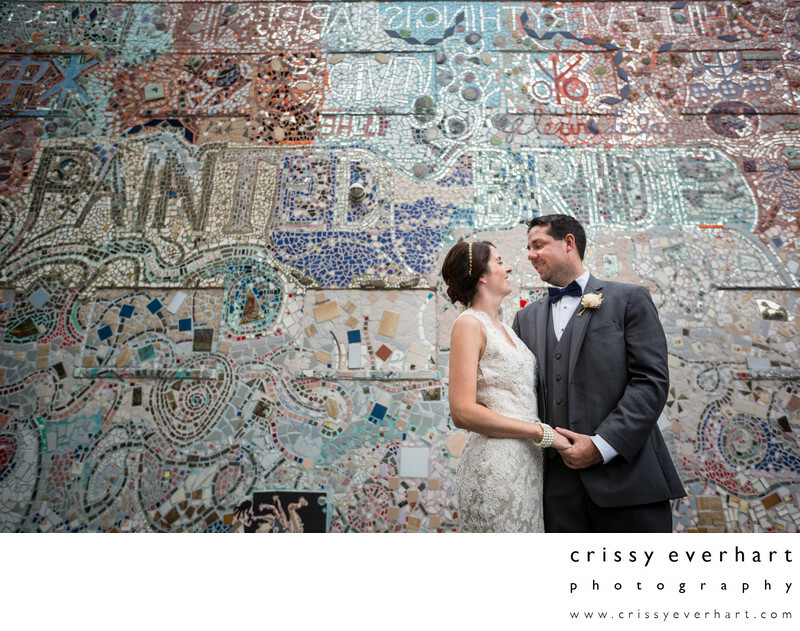 A couple poses in front of the Painted Bride mosaic in Philly. Isaiah Zagar is a local Philadelphia artist who is known for his street mosaic work, and he did the exterior of the entire Painted Bride building. The couple's reception venue, Power Plant Productions, is only a block from this wall so we had to swing by for a few photos!! Location: 230 N 2nd St #3a, Philadelphia, PA 19106.